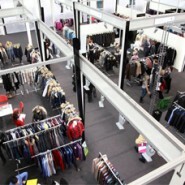 Whether you are selling exhibitor space, coordinating the staging and set-up of the event, selling tickets to those attending, or handling ancillary services such as catering or car parking, CABS can help and can provide a single system, span of control solution which keeps you and the rest of your team firmly on the same page, every minute of every day. With unlimited locations, unlimited bookable spaces and modules to handle marketing, bookings, service delivery and visitor registration, you will be amazed with both the power and simplicity of CABS for use right at the heart of your world. We could go on at length about how CABS is the ideal software tool for you, but you probably have better things to do than read yards of copy about why we think our software is right for you – why not just get in touch and we’ll drop everything to listen to what you are looking for and, if we’re able, we’ll show you how CABS does just what you need together with an outline plan of just how that might be achieved within your timescales and budget.